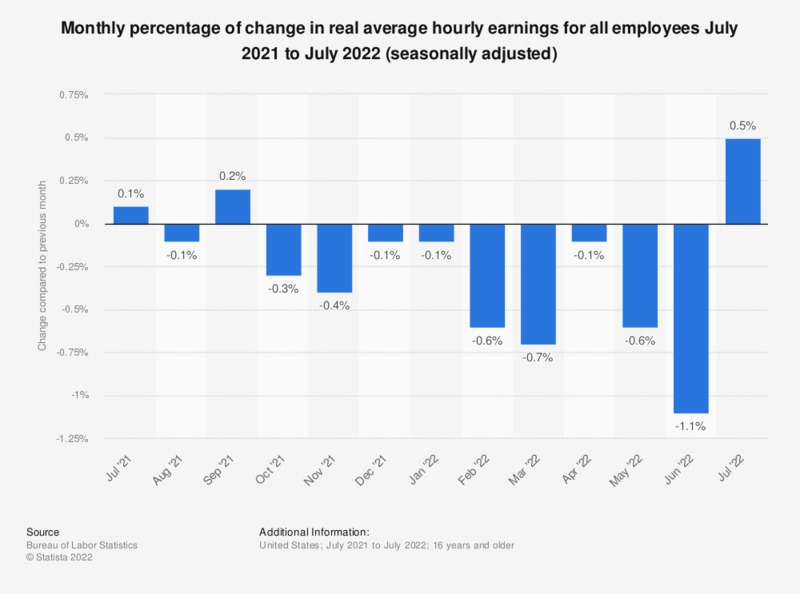 This statistic shows the percentage of change in real hourly earnings of all employees in the United States, by month. The data have been seasonally adjusted. The deflators used for constant-dollar earnings shown here come from the Consumer Price Indexes Programs. The Consumer Price Index for All Urban Employees (CPI-U) is used to deflate the data for all employees. In March 2019, average hourly earnings decreased by 0.3 percent from the previous month. Seasonal adjustment is a statistical method for removing the seasonal component of a time series used when analyzing non-seasonal trends.